Villa with 3 levels, on lower level the garage, on the ground floor the living area, kitchen, 1 bedroom and 1 bathroom ,on the 1st floor 3 bedrooms and 2 bathrooms. Private garden, fully fenced, pool and lovely countryside views. Sold Furnished and equipped, inserted in a residential area just 1km from S. Brás de Alportel. 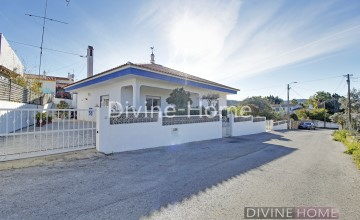 Detached 3 bedroom single storey villa with pool, garage (64 sqm) and sea view. The villa is equipped with air conditioning, pre-installation central heating, video intercom, electric gate, equipped kitchen and solar panels. Located in calm area but only 4km from São Brás town centre. 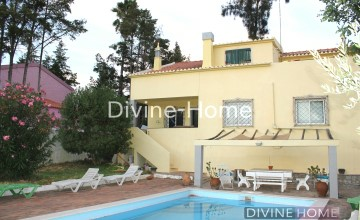 5 bedroom villa converted into 3 independent apartments with garden and pool. Located a few meters from cafes, supermarkets and the center of S. Brás. Ideal for rental income. 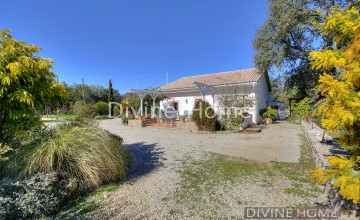 Recently fully renovated farmhouse with annex and horse facilities. Offering in total 4 bedrooms, 3 bathrooms, natural pool, stables, paddocks, grazing, dressage and sand arena. Ideal for horse lovers. Only 5 minute drive into São Brás de Alportel town. 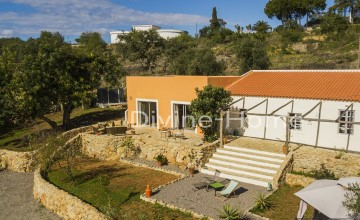 Detached 3 bedroom villa with good areas, fenced garden and 80sqm annex with entrance and independent garden. On the outskirts of São Brás de Alportel, in a quiet residential area. Charming villa with traditional features, 5 BEDROOMS, kitchen, 5 bathrooms, several terraces, plunge pool, and a GARAGE, located on a plot of 948 m2 in a small hamlet near São Brás de Alportel. Renovated 2 bedroom single storey cottage with shared pool, ideal as an easy lock up and go property, your holiday home in the sunny Algarve. Just 3km away from São Brás de Alportel town with all the amenities available. Situated on the outskirts of São Brás de Alportel, in a privileged area, a quiet neighborhood where you can enjoy the countryside feeling only a 10 minutes walk from the town Center. Recently refurbished this Lovely and Cozy 2 bedrooms Cottage, enjoys of a nice SEA VIEW.